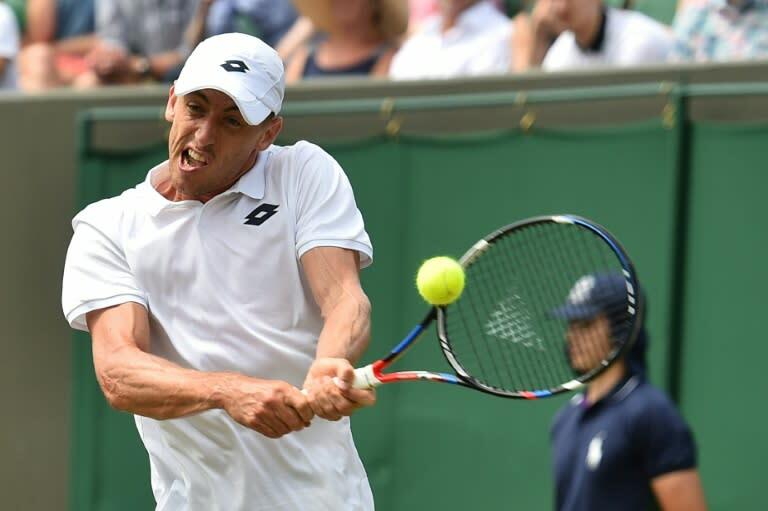 John Millman reached his first Grand Slam fourth round on Saturday and admitted he faced a dilemma over who he'd like to meet next -- 'hero' Roger Federer or Australian compatriot Nick Kyrgios. Millman, 29, downed Mikhail Kukushkin of Kazakhstan 6-4, 4-6, 6-1, 6-3 in the third round of the US Open. He will next tackle 20-time major winner Federer or the fiery Kyrgios, who meet later Saturday, for a quarter-final spot. "With Nick, you always expect the unexpected and Roger, well he's my hero," said the world number 55. "Whoever it is, it will be a challenge and at least I am in the position to have that challenge." Millman has endured a rollercoaster career in getting to this stage, undergoing two surgeries on his shoulder and one on his groin. As a result of his injury toils, his ranking slumped to 1,101 in August 2014 but recovered to 71 just 12 months later. After his groin operation, he was slipping again with his ranking at 235 in August last year. However, he has enjoyed a solid 2018, earning his first top 15 win over Lucas Pouille in Budapest on his way to a maiden ATP final where he finished runner-up. Last month, he reached a career-high ranking of 49. "This is the biggest moment of my career," said Millman. "It's been a bumpy road. I have had three surgeries and every time I had extreme doubts over whether I would get back. "But I have got great people around me who lift me up when I'm feeling sorry for myself."